Crimes and Mercies: the Fate of German Civilians under Allied Occupation, 1945-1950 recounts how the allies deliberately denied food to Germans after World War Two, expelled ethnic Germans from their homes in the east, and plundered their industries, resulting in millions of civilian deaths. However in 1946, concerned Americans and Canadians, under Herbert Hoover and Mackenzie King began to relieve the starvation with a food aid program which late in 1946 was extended to include the German people. This contradictory policy of revenge and mercy has never been fully examined before. Crimes and Mercies was first published in English, by Little Brown in Canada and the U.K. in 1997. 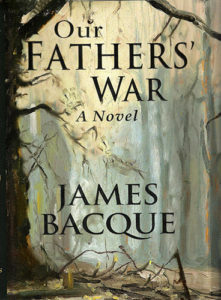 In German, it first appeared as Verschwiegene Schuld by Ullstein Verlag, Berlin in 1995, and was reissued in 2002 by Pour le Mérite. Over 30,000 copies sold in four countries. The Fate of German Civilians under Allied Occupation 1945-1950. Eye-witness accounts of Post- war Germany by Robert Greer Allen, Eva Berck, Martin Brech, Martha Kent, Gus Schickedanz, and Anna Tuerr. 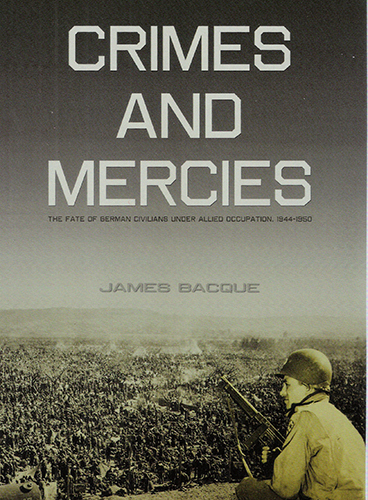 The revised Canadian paperback edition of Crimes and Mercies, 2007, published by Talonbooks of Vancouver. 271 pages, maps, illustrations and bibliography, ISBN 978-0-88922-567-1. CA $30.00. Autographed by the author. Free shipping within North America.